You've worked in the steel industry for years. You know blast furnaces inside and out, and can tell the general history of steel prices for the past several years off the top of your head. Casting and rolling are daily occurrences, and you know exactly what's involved in keeping your continuous production machinery operating efficiently. But one area of your industry that you may not know about, but is vital to your company's bottom line, is steel mill appraisal. But what exactly is a steel mill valuation and why is it so important to your company's bottom line? Here's a look at the entire process and how it can be used as an important business tool to grow your company. The first question many people ask when determining the value of their company is, "What is a business appraisal?" Though many companies only have one performed when they're selling their business, a business appraisal can be a valuable tool to help improve your company, allowing you to reduce overhead, increase profitability and grow your business with a great deal of success. But what happens in a business appraisal that allows you to take advantage of the information inside to this degree? Let's start by taking a look at the business appraiser. This is a highly-trained individual who has spent extensive time in the steel industry, not only with your business during the appraisal process, but with any number of competing businesses, who may have very different processes, procedures and circumstances than your company. This provides them with the knowledge to make valuable insights that can greatly benefit your company's bottom line. As an example, let's consider the revolution currently taking place in IoT-linked machinery. Is it as prevalent as the machinery manufacturers say? If you upgrade, will you really be getting in at the beginning of the curve, making you an innovator in your industry, or will you be somewhere in the middle, keeping up with the pack. Is it really making as strong of differences in your operation and profitability as the machinery manufacturers are saying? A qualified appraiser can let you know. What about your finances? Are they in line with other steel mills? One of the first areas considered by a business valuation specialist is a company's financial records and where they may be accurate or inaccurate. Once adjustments have been made, they may be able to advise you whether there are areas that could be improved. 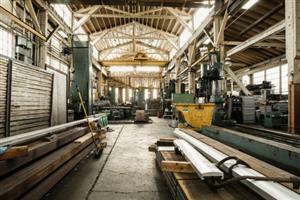 Though a steel mill appraisal can be a complex process, working with the right business valuation specialist makes the process flow much more smoothly and easily. It's also a vital one that can give you the information you need to make significant improvements to your company, such as deciding when to expand, when to consolidate and when to sell. It provides you with vital proof of your company's value for a wide range of purposes. However, these benefits are often only apparent when you work with the right appraiser. A certified business valuation specialist has the right combination of knowledge, experience and expertise to get your company's value calculated correctly and in a fashion that makes the final report bear up well to very strong scrutiny from a wide range of sources.